Living and growing up with the Yorkshire Dales and Lake District on my doorstep, I enjoy the outdoors but was a relative latecomer to skiing and snowboarding. 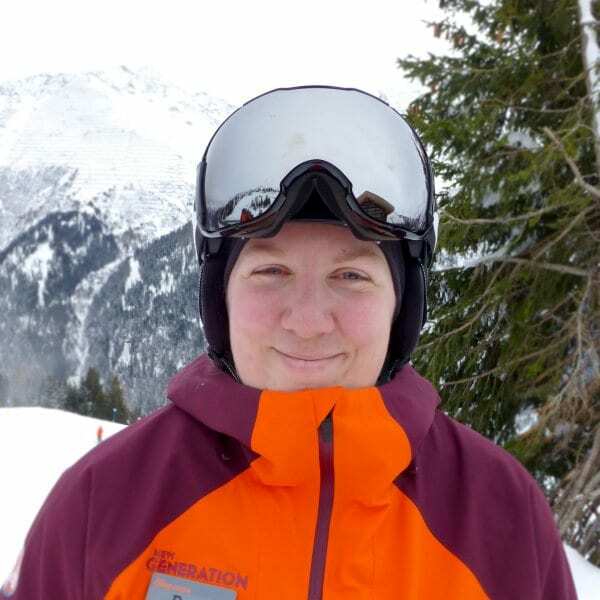 It was only in my mid-twenties after completing a geography degree that I learnt to snowboard and really started skiing when I worked my first season in St Anton in 2008/09. I instantly fell in love with the Arlberg and have spent my winters there ever since. I still remember experiencing the various emotions the first time I skied and snowboarded down some of the St Anton blues: the trepidation at the start of the run, the frustration when things aren’t quite going right, the elation at having successfully got down, the buzz of wanting more. Making the switch to instructing means that I now get to share those experiences with others. Don’t forget to enjoy your surroundings, the mountains are amazing! Fancy a private lesson with Bex on your next holiday?